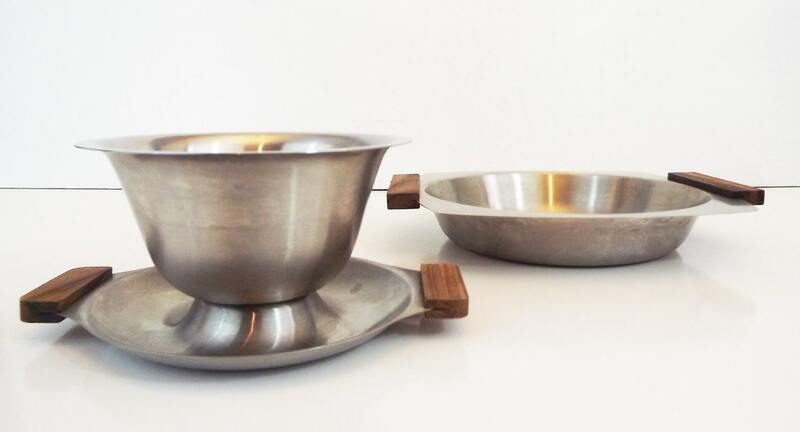 Great modern stainless steel set! 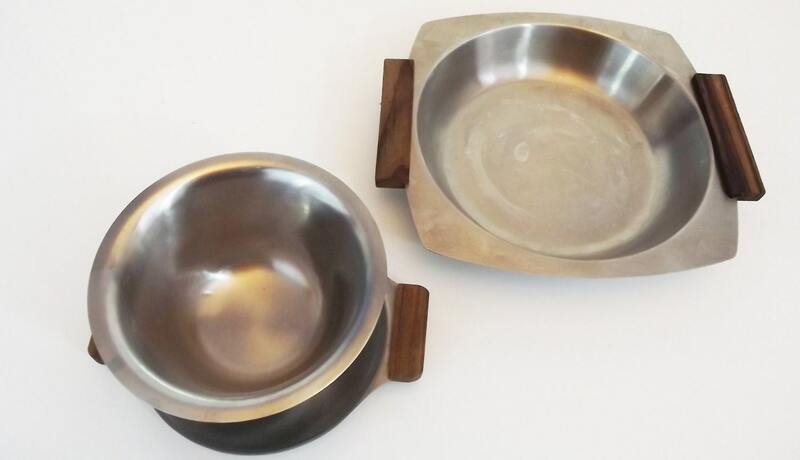 Description: Set includes stainless steel with wood accent gravy boat and small tray (in a square shape). 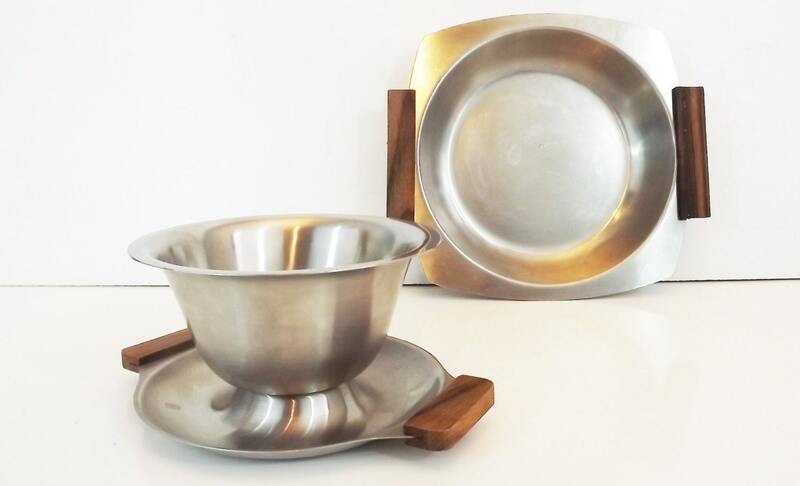 Danish modern in style, this stainless steel set was made by Interpur of 18-8 Stainless Steel, in Japan. 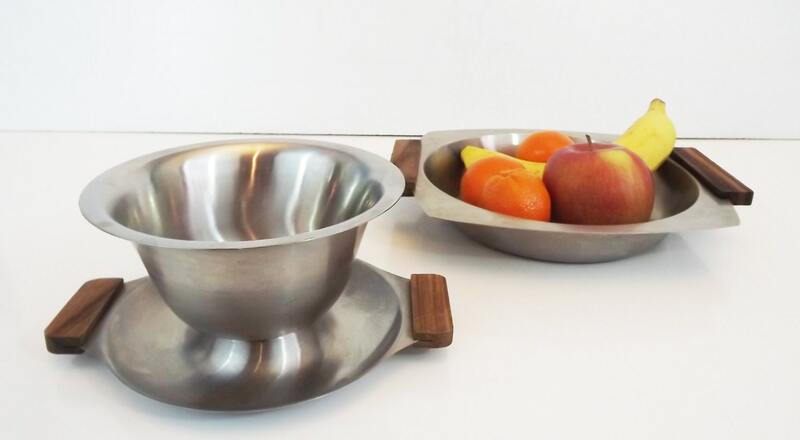 Size: Gravy boat - Measures almost 6 inches across the top of the bowl and stands 3.5 inches off the table. 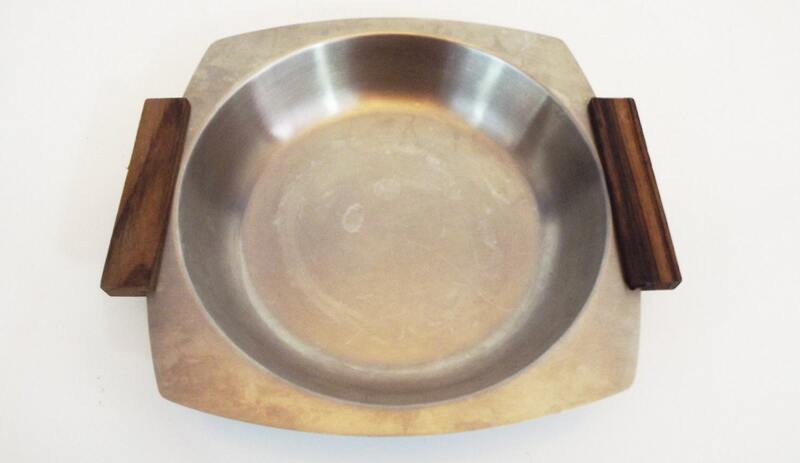 Tray - Measures 10 inches across (not including handles) and stands 1.5 inches tall. Condition: Great vintage condition. Some light use marks here or there (light scratches on occasional areas). Great mid century modern set. Great for entertaining, perfect for snacks and serving guests!